In the summer of 2002, Shannon Leone Fowler, a twenty-eight-year-old marine biologist, was backpacking with her fiance and love of her life, Sean. Sean was a tall, blue-eyed, warmhearted Australian, and he and Shannon planned to return to Australia after their excursion to Koh Pha Ngan, Thailand. 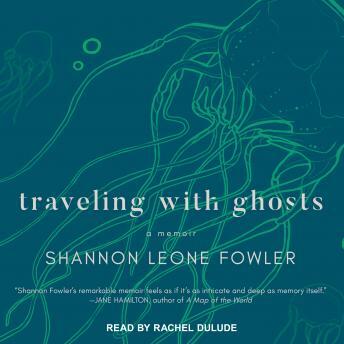 Their plans, however, were devastatingly derailed when a box jellyfish wrapped around Sean's leg, stinging and killing him in a matter of minutes as Shannon helplessly watched. Shattered and untethered, Shannon's life paused indefinitely so that she could travel around the world to find healing. Travel had forged her relationship with Sean, and she hoped it could also aid in processing his death. Though Sean wasn't with Shannon, he was everywhere she went-among the places she visited were O&sacute;wi&eogon;cim, Poland (the site of Auschwitz); war-torn Israel; shelled-out Bosnia; poverty-stricken Romania; and finally to Barcelona, where she first met Sean years before. Cheryl Strayed's Wild meets Helen Macdonald's H Is for Hawk in this beautiful, profoundly moving memorial to those we have lost on our journeys and the unexpected ways their presence echoes in all places-and voyages-big and small.